15 million is the average number of people celebrating a birthday today! We know that some of them might be your close friends and loved ones, which is why we will never disappoint you when you are looking for a gift. How? Well, our gifting platform is extremely versatile in that it allows you to send birthday gifts to your friends or family members in Dubai, in the UAE and other countries in the Middle East including Lebanon, Qatar, Bahrain or Saudi Arabia! Not only do our services cross continents and countries, it also makes sure you are never left empty handed! You can send last minute gifts to Dubai, UAE at the click of a button through our mobile application for IPhone and Android. At YouGotaGift.com, we understand that gifting can be a difficult process and we try to make it smooth and easy just for you. Our website is filled with choices, allowing you to pick the perfect birthday gift for your loved ones. But, what is the perfect gift exactly? Let us help you figure out the answer with the following list of birthday gift ideas in Dubai and Abu Dhabi. Gift for HER: As the famous quote states, “Diamonds are a girl’s best friend”? There is definitely some truth in that so how about sending your special lady a Gift Card from one of UAE’s major jewelry brand Joyalukkas. Joylukkas Gift Card from YouGotaGift.com is flexible and valid for one year. She can take her sweet time picking the perfect gift. Gift for HIM: Your man’s birthday is coming up and it’s stressing you out? Completely normal! You are looking for something exceptional, yet can’t define it. Suddenly nothing comes to mind? If so, adventure or better yet activity related gifts are always a safe option. You can end your search right here as we have tons of cool experiences he is sure to love on our platform. One thing that makes Gift Cards for experiences a perfect gift is that you can enjoy it together. Here are some suggestions to help you. Did he always want to go Skydiving but never got the chance? Indoor Skydiving experience in Mirdif City Center is a great alternative. Gift him an iFly Gift Card from YouGotaGift.com. Its valid for a year and you can go anytime. Your man misses your yearly skiing trips to the Alps? Ski Dubai Gift Card from YouGotaGift.com can solve this. 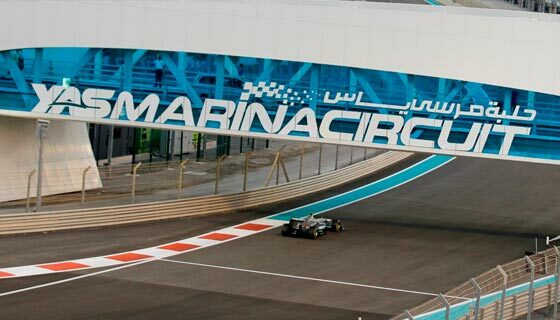 If he is into fast cars, Austin Martin experience at Yas Marina Circuit is sure to give him adrenaline rush. Don’t think twice and opt for a DriveYas Gift Card from Yas Marina Circuit. Gift for KIDS: There is far less stress when it comes to choosing gifts for kids, in Dubai especially due to so much variety available. Whether its choosing a cute outfit, favorite toys or activity we got it all. There is definitely something for children of all ages in our online gift cards mall. Our options cover a wide variety of birthday presents Dubai kids will simply love. Mum’s favorite kids clothing store ‘babyshop’ is always a reliable option. When understand that kid shopping can be fun, but instead of choosing an outfit yourself, why not let the mum decide herself. Kids grow fast and she might want to save the shopping spree for later. Our gift vouchers Dubai are valid for one year and that gives mum the flexibility to go whenever she needs. 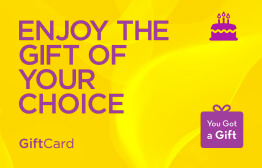 Check out babyshop Gift Card from YouGotaGift.com. Looking for a kid store that’s got action figures, dolls, Legos, Barbie’s, outdoor gear for all kind of sports yet also prams, strollers under one roof? Toy Store Dubai is your best bet and the best news is that you can now send a Toy Store Gift Card from YouGotaGift.com straight to Mums phone or inbox! We are psyched about this. Prefer a gift with an edutainment twist? That’s fine too. Little Explorers Dubai offers the perfect blend of education and entertainment for kids up to 7. Opt for a Little Explorers Gift Card from YouGotaGift.com and don’t forget to add a fun video message to the chosen greeting card to make it more fun! The time has come when you do not have to worry about gifting for birthdays! YouGotaGift.com lets you send personalized, unique and amazing gifts that your loved ones will love. We even have something for those of you who simply have no clue which brand to choose or for the recipients who are difficult to impress: the YouGotaGift.com eGift card that lets him or her choose which ever brand he wants from our list of options. The best part? It can all be done at a click of a button and in under 3 minutes, even if you are living abroad! So, choose us and you will never be disappointed with our gifting experience. This entry was posted in Birthday Gifts, YouGotaGift.com and tagged Birthday Gift Cards, Birthday Gifts in Dubai, Birthday Gift Ideas on August 1, 2016 by Maria Najjar.